Next year we will see even more Mobile Shopping/In-store crossover. It will be the year when O2O goes from a “test idea” to a true focus for large retailers. With 75% of consumers using their mobile devices in store to read reviews, find better pricing or make an actual purchase, I predict we will see more O2O options and innovations coming from the performance marketing channel. Buy online, pick up in store is already huge – with the biggest e-commerce days of the year coming up next week, I’m expecting to see these omnichannel tactics at the forefront. We will see even higher conversion rates happen on mobile devices. While desktops will still dominate in this arena next year, I predict mobile will gain significant market share, slowly starting the climb to catch up to desktop conversion. I think that right now, people are worried about fraud in general; it’s been quite a hot topic this year! While I don’t believe it’s as big a risk in CPS performance marketing, both the networks and their clients must be vigilant in identifying and preventing fraudulent behavior. Brands and agencies should really look at their current networks and ask the tough questions. What are they doing to review publishers that join the network? Are they testing the software, like browser plugins and apps that publishers are using to promote affiliate links? Does the network look at reports and trends from their programs to identify potential fraud on a daily basis? I know that in our network, we take this very seriously and have several checkpoints and various reports that help us identify outliers so we can investigate further. The best defense is a good offense! We always recommend that affiliates promote what they love – if they are passionate and original, they will create a loyal community of readers/shoppers which will eventually turn into sustainable income. Authenticity is key; if you love to travel, work with travel brands. If you are interested in finance, find partners in that vertical. Shopping and comparison sites have always captured a significant share of affiliate dollars, but we’ve seen a lot of success stories come from small affiliates. Some of the coolest technology and websites I’ve seen are from these independent affiliates – and retailers want to work with sites that have a unique point of view. If small affiliates are authentic, original and willing to try a few different tactics, they’ll get there. Q: How do I know I won’t be paying commissions for consumers that would have converted on my site anyway? A: Through our attribution solution, we can actually track which consumers are coming in through our network and if they’re unique or returning customers. Our experience shows that you can manage your program to deliver on the KPIs you are looking for – new customers, profitable lifetime value, or increased AOV . In fact, a recent Forrester study found that Affiliate Marketing ranks as one of the top five new customer acquisition channels. Melissa Feemster is the General Manager and SVP for Rakuten Affiliate Network (formerly LinkShare), and serves as the voice of its clients and shapes feedback into new projects and products for the business. She focuses on client retention, account optimization and new business opportunities. 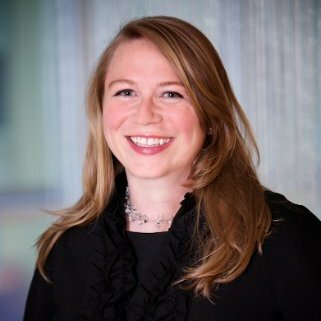 Melissa has grown up through the client services organization at Rakuten Affiliate Network, having joined the Chicago office in 2004. Prior to that time, she worked in account management at Ogilvy, in brand management at the Campbell Soup Company, and in corporate communications at McDonald’s Corporation.